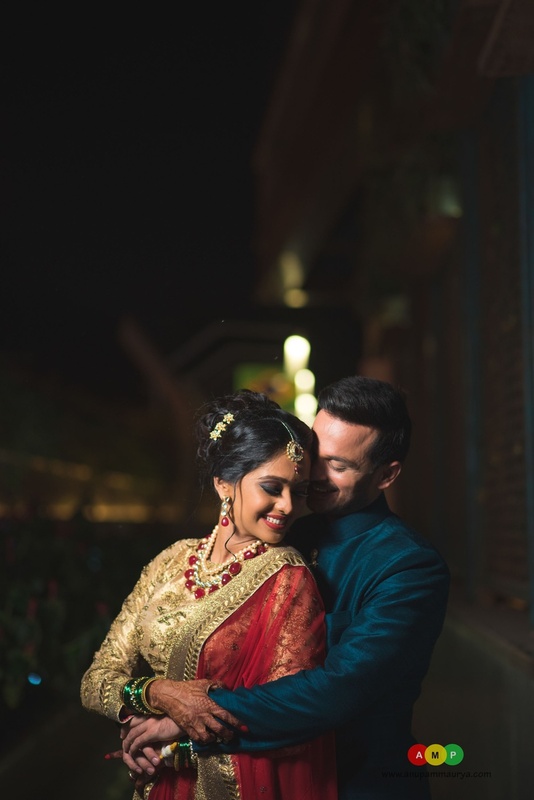 This celebrity couple looked stunning, overjoyed and more importantly, so in love! 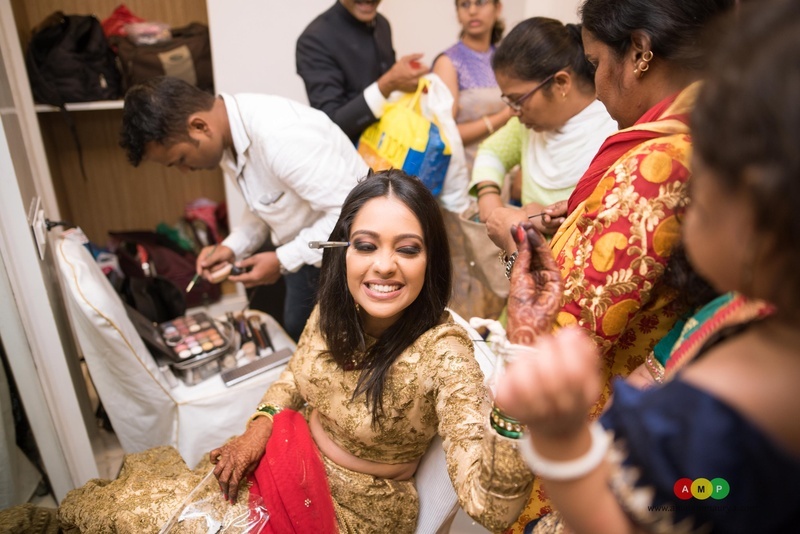 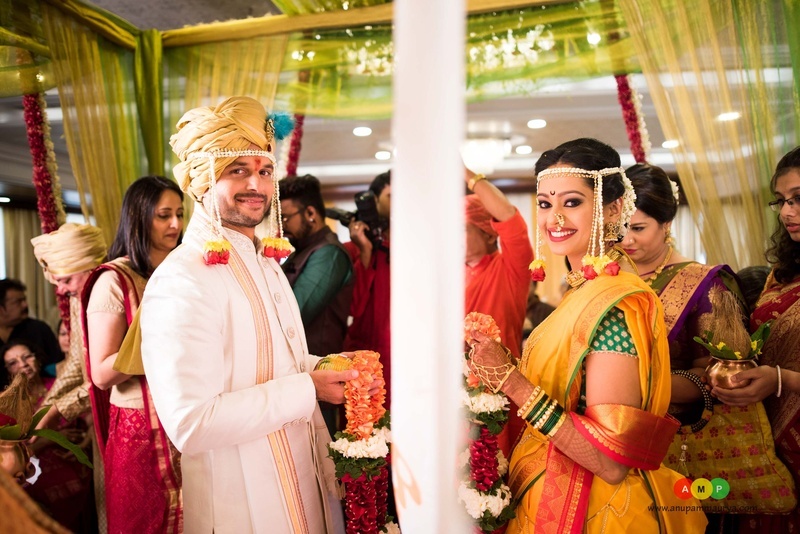 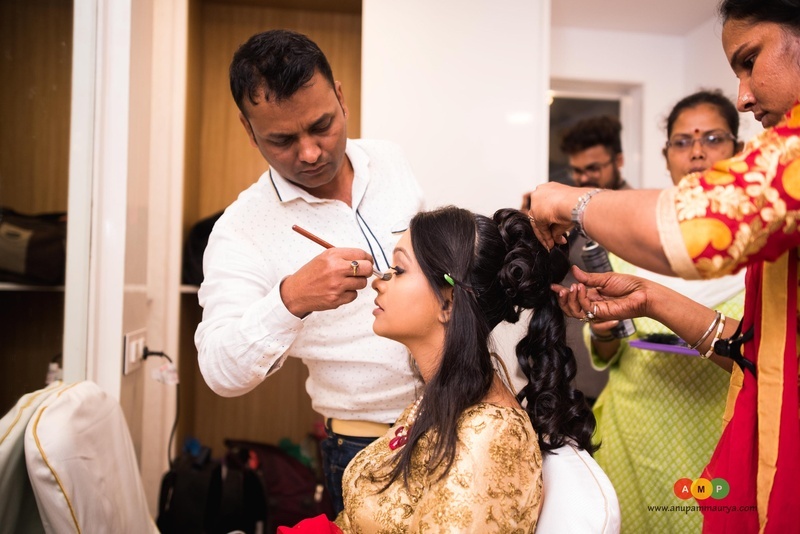 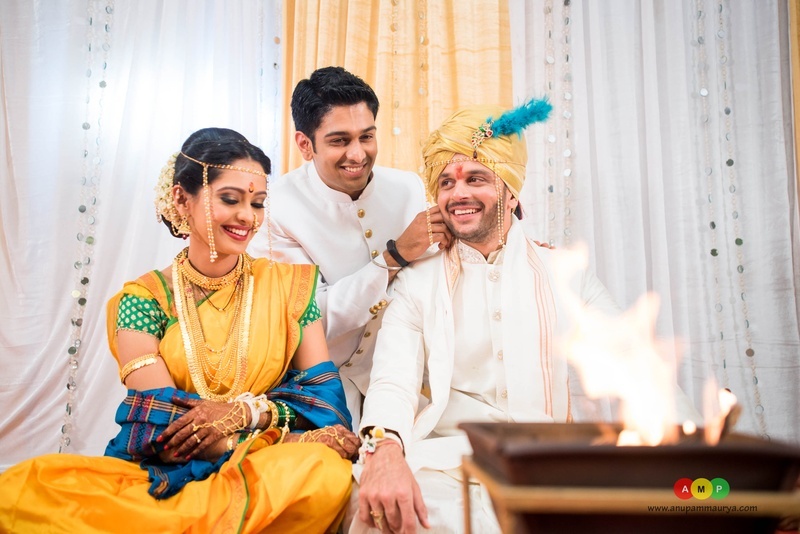 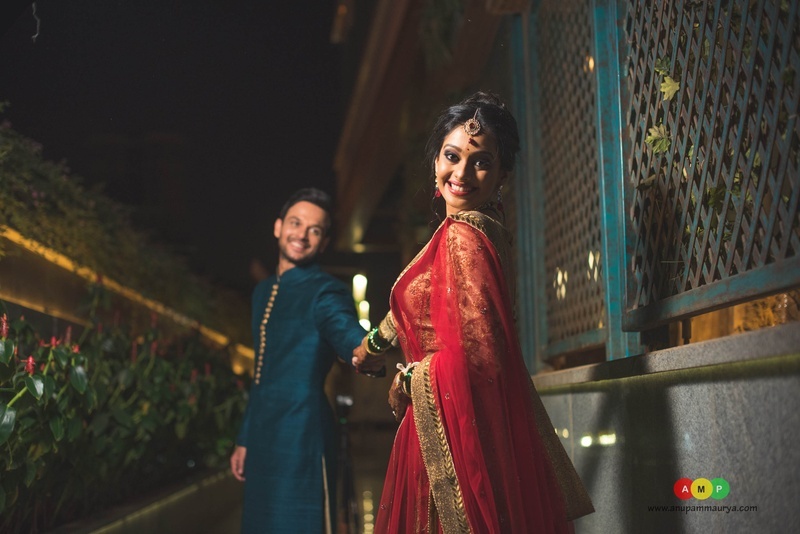 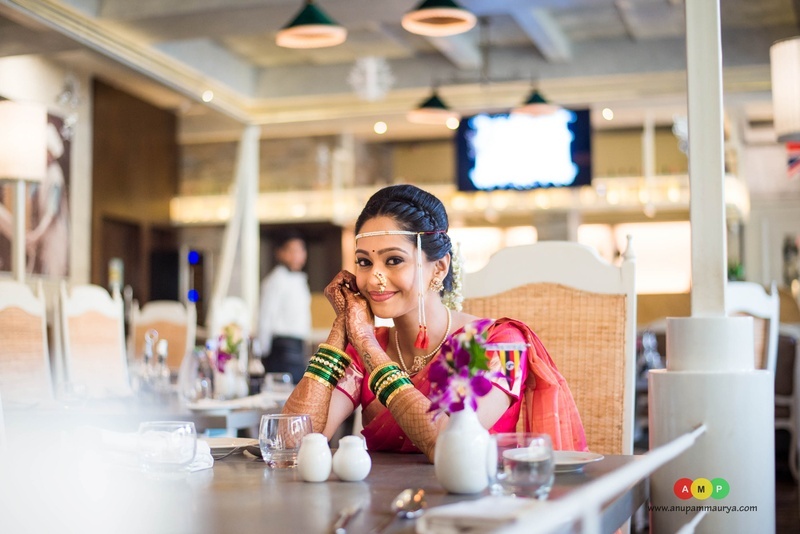 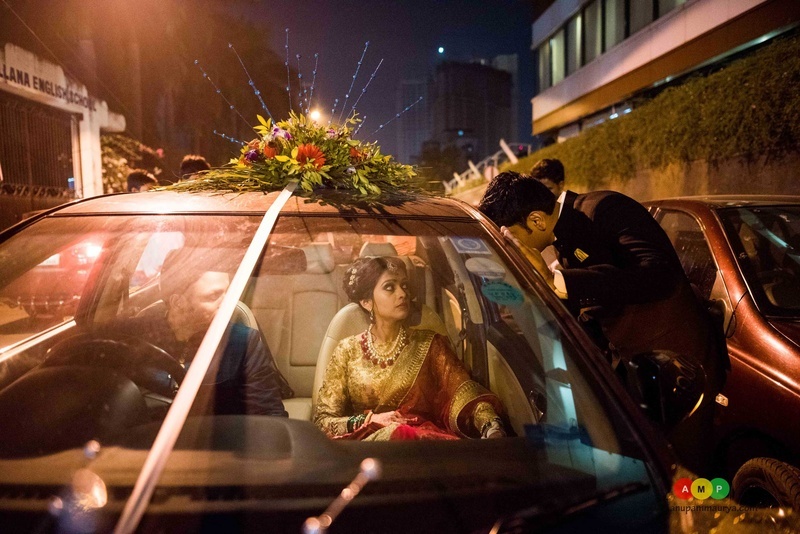 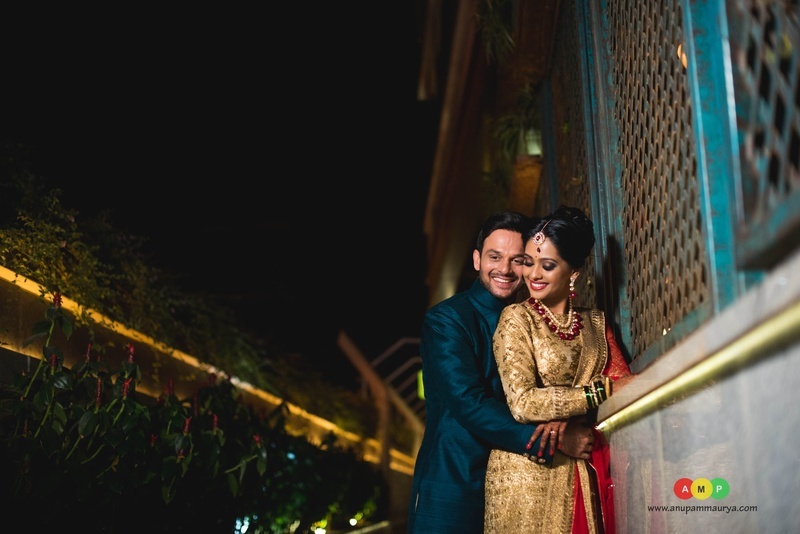 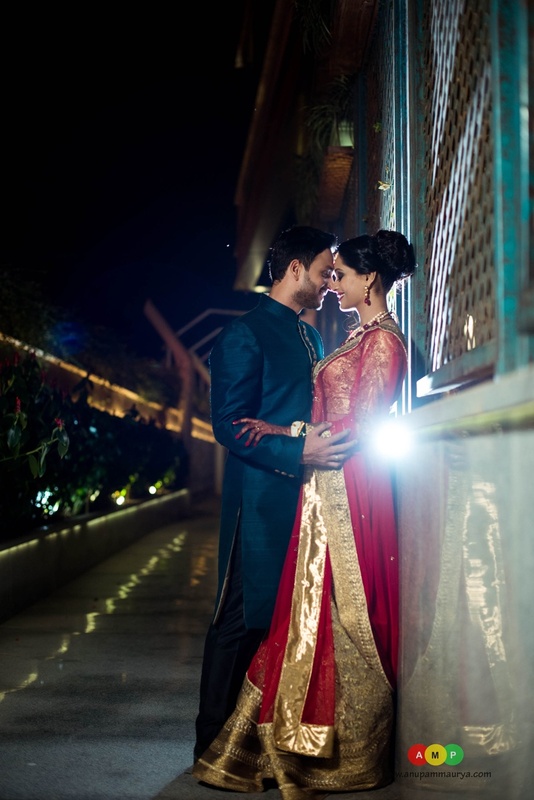 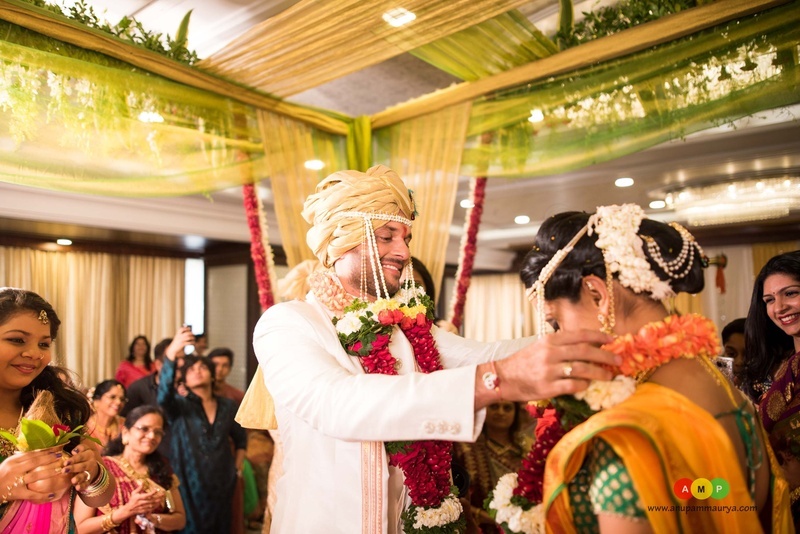 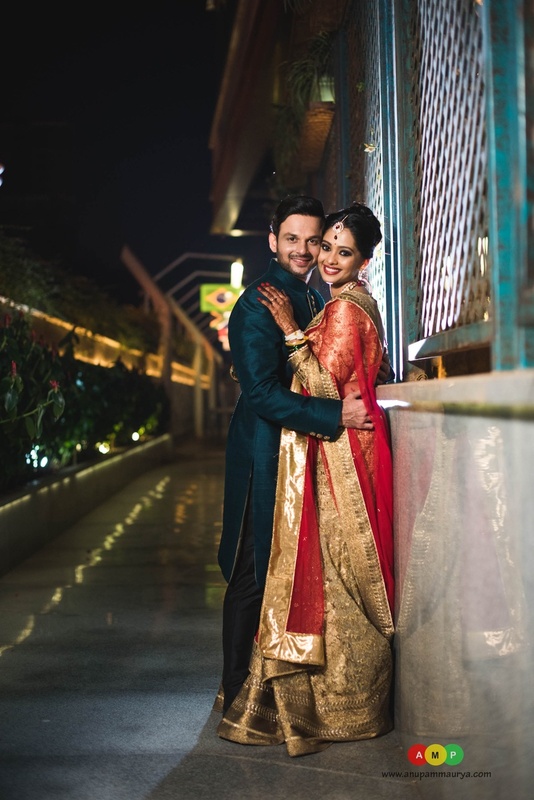 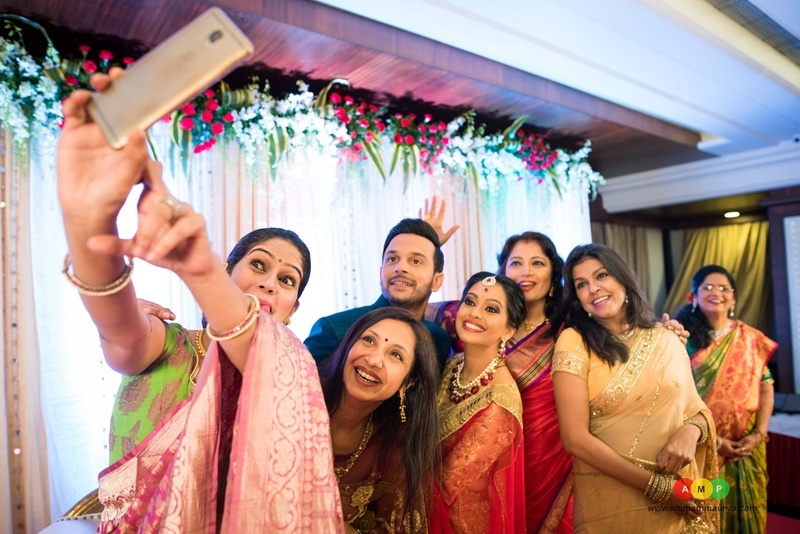 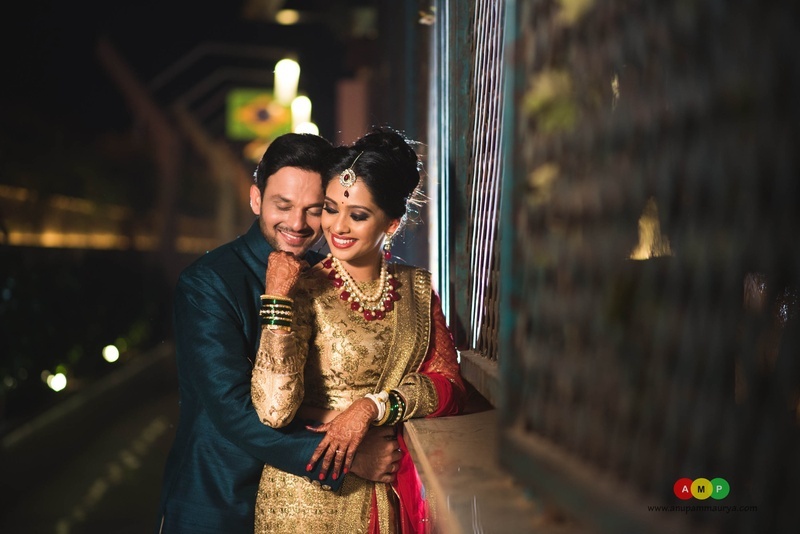 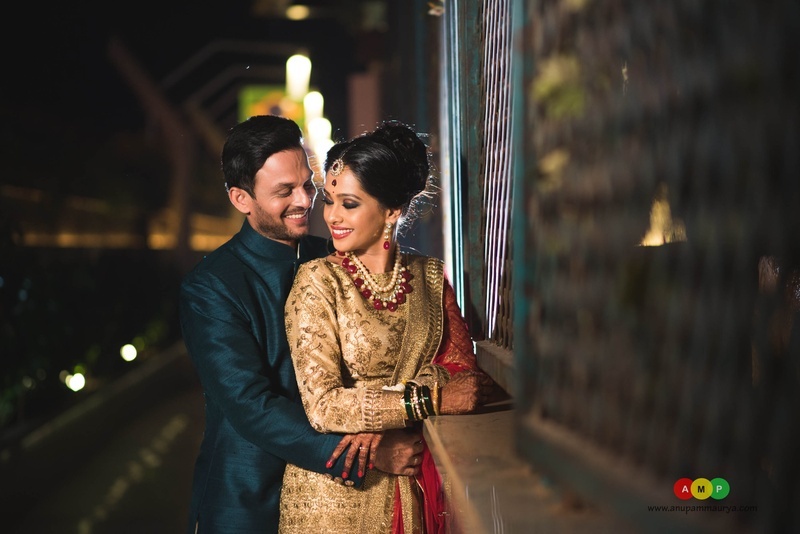 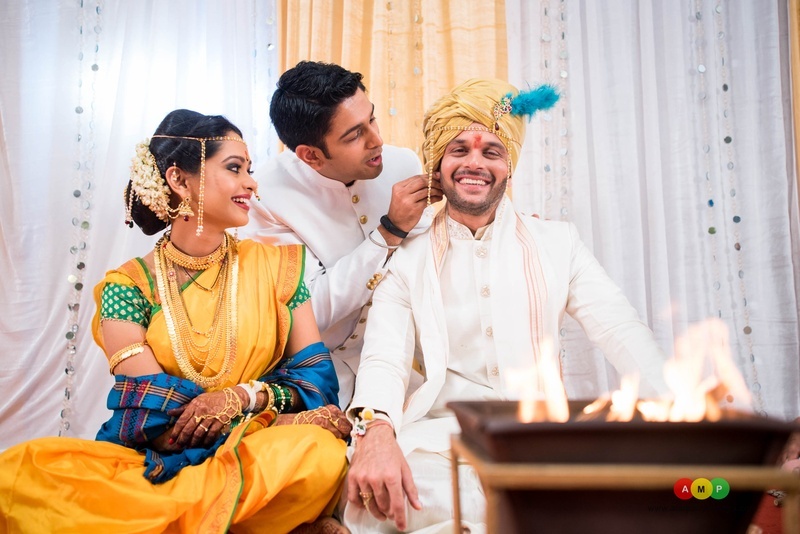 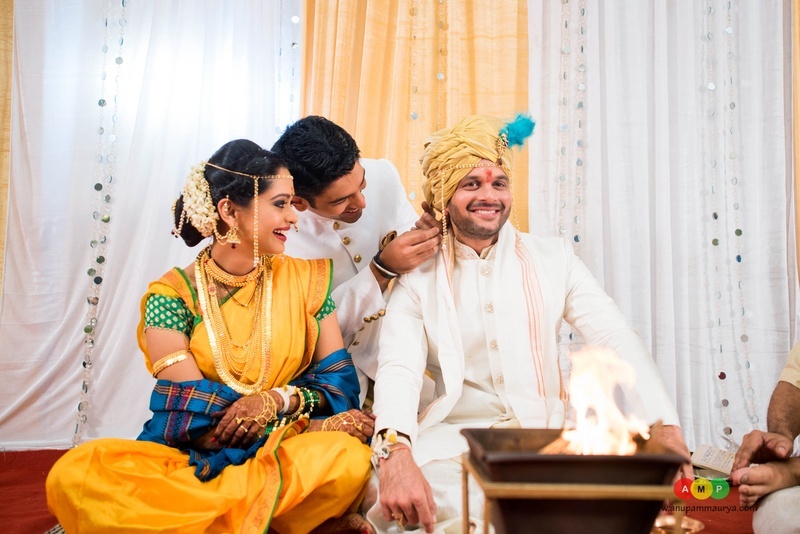 Mugdha and Ravish who first met on the sets of Zee TV's ' Satrangi Sasural' and were cast as the lead pair as Aarushi and Vihaan finally tied the knot for real after a long wait. 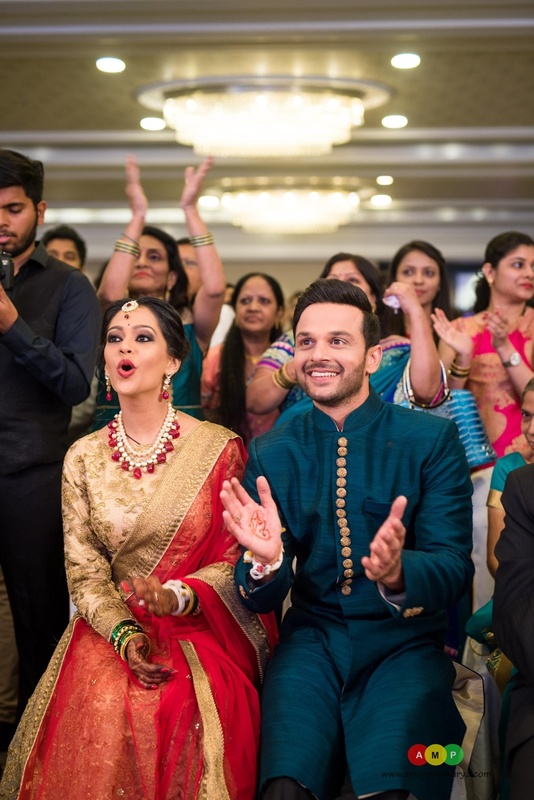 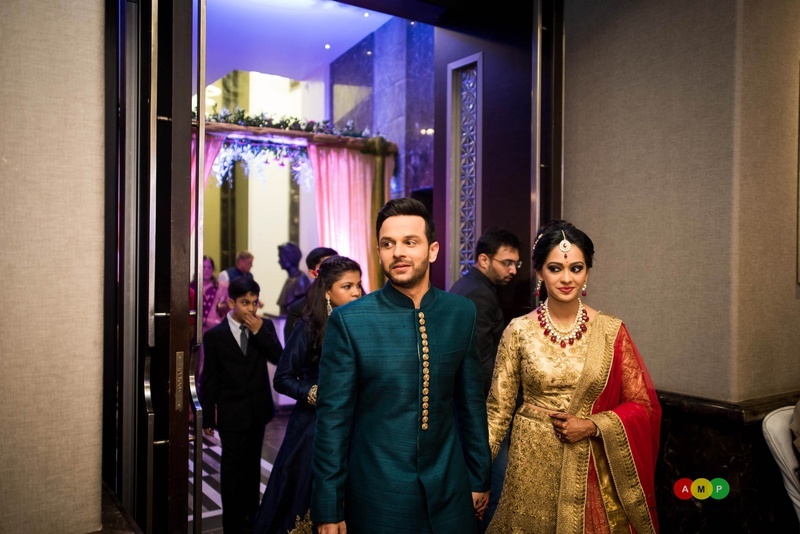 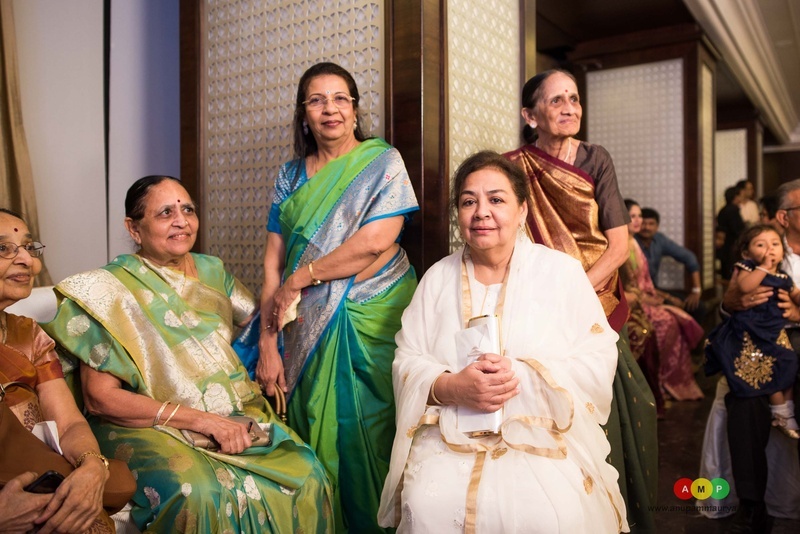 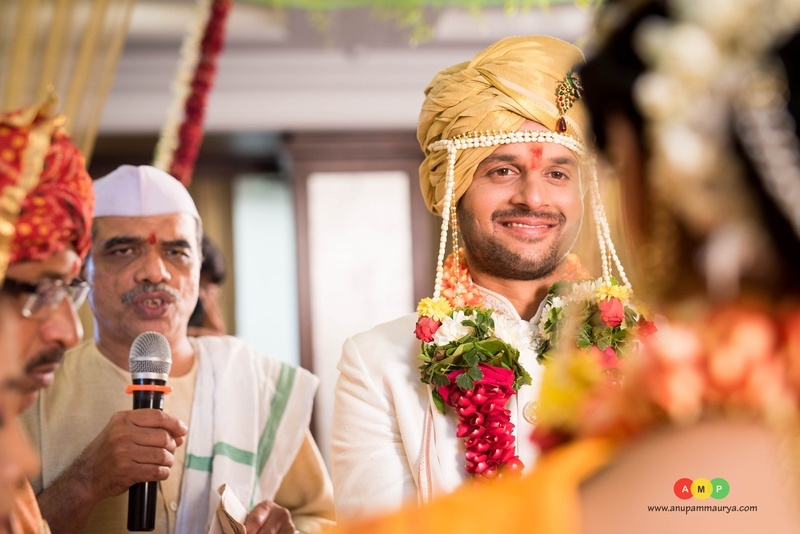 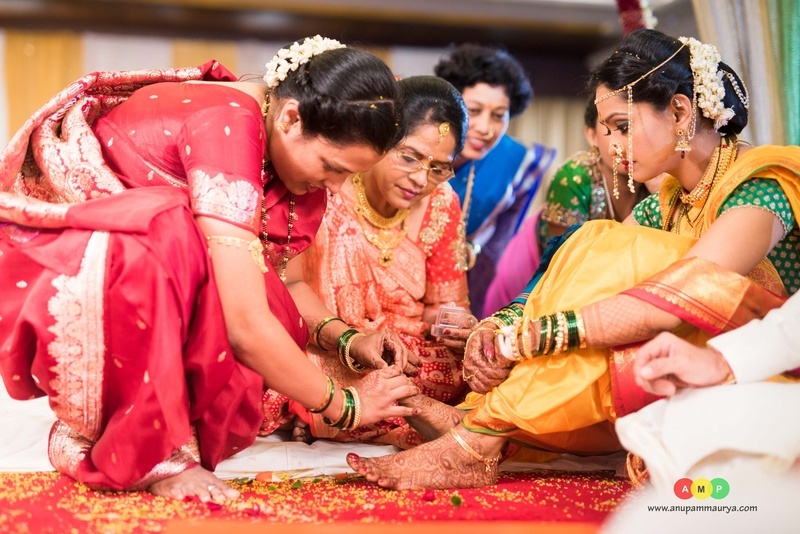 The wedding took place at Flags Banquet at Lokhandwala, Andheri in a private and simple function attended by family and very close friends. 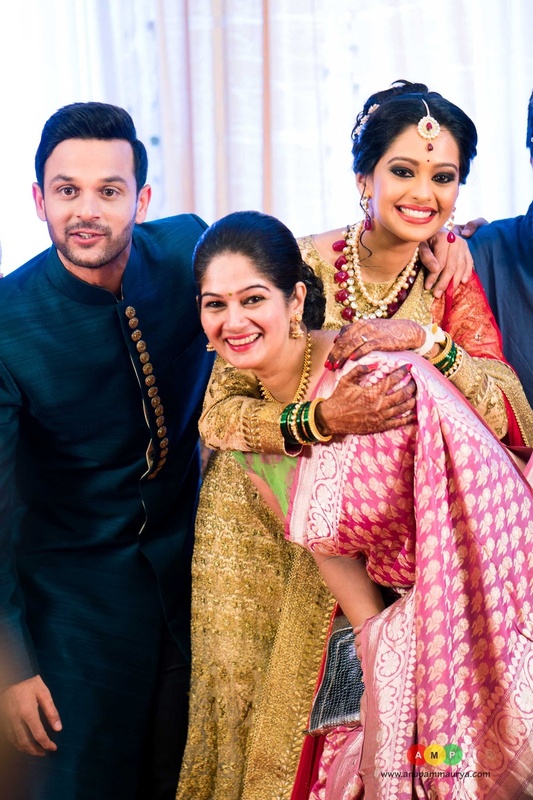 For the wedding, Mugdha looked gorgeous in a baby pink chanderi silk saree followed by a yellow Navvari and gold jewellery. 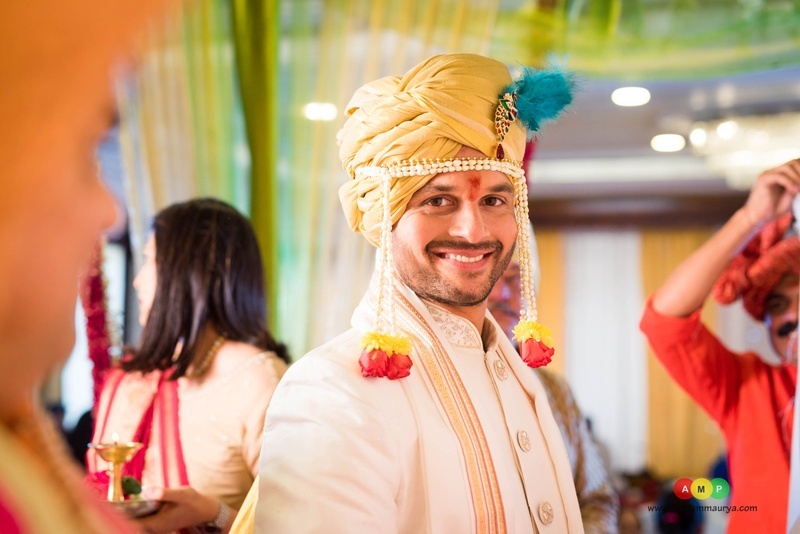 The dapper groom opted for a kurta and silk safa with blue feather before changing into a white sherwani. 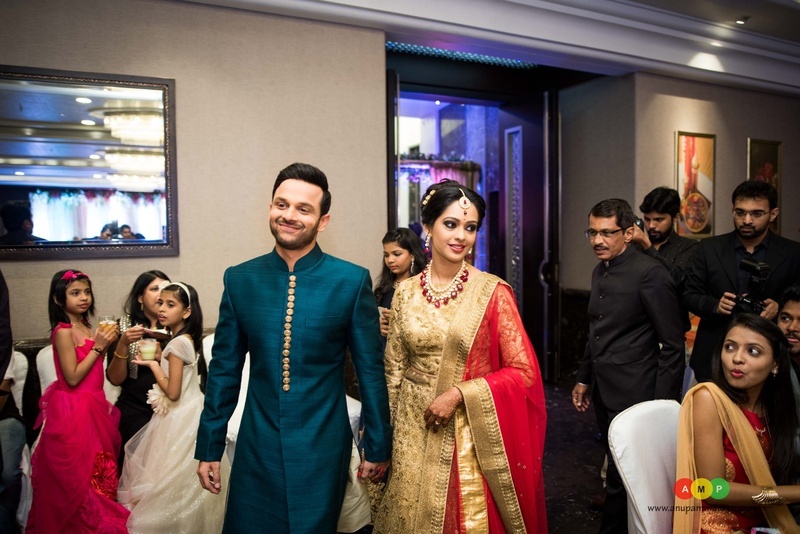 All in all, this celebrity couple looked stunning, overjoyed and more importantly, so in love! 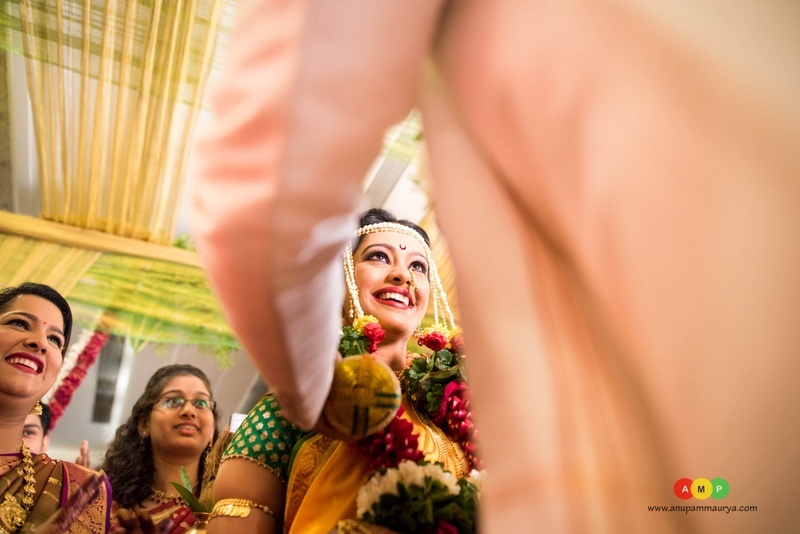 Captured brilliantly by Anupam Maurya Photography. 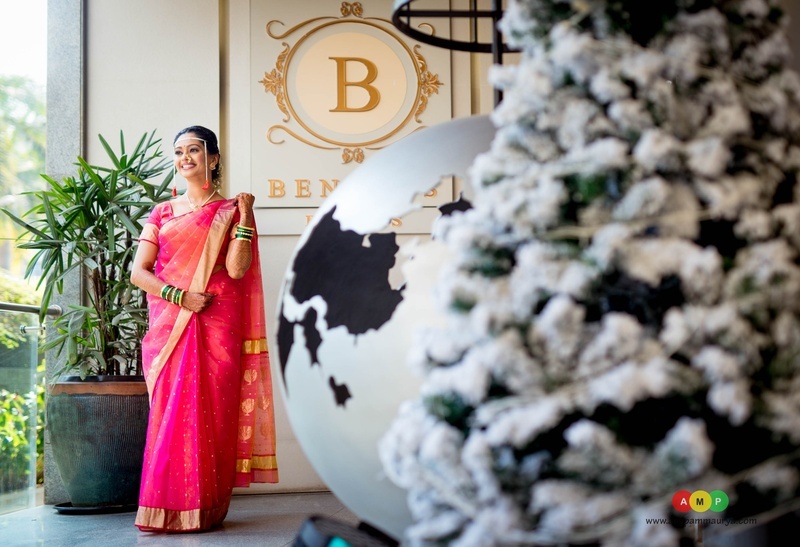 Dressed in pretty baby pink chanderi silk saree for the wedding day styled with signature nose nath. 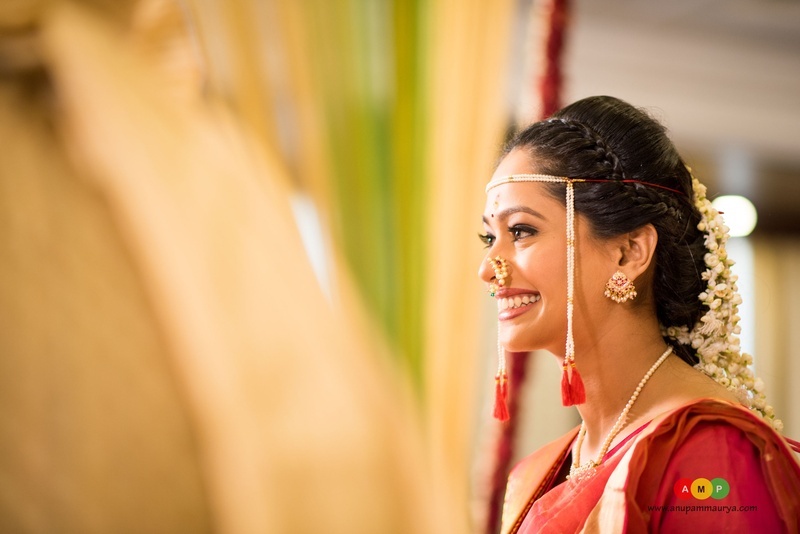 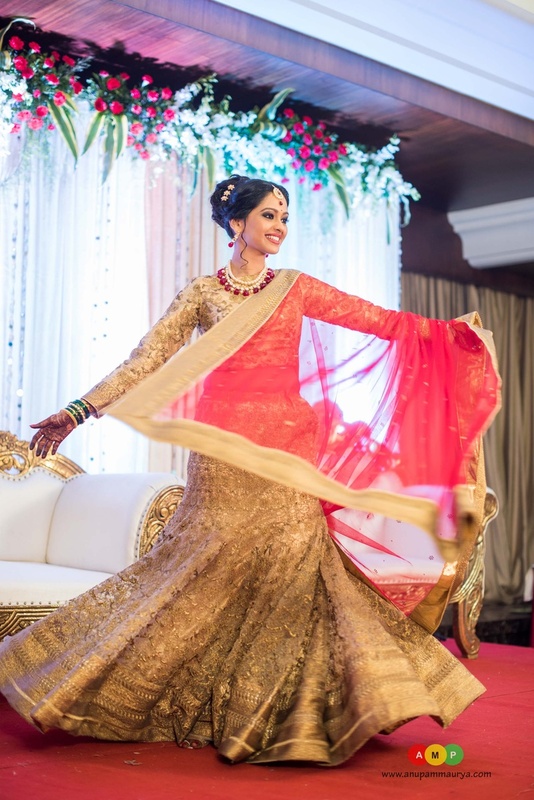 Bridal shoot held at Flags captured brilliantly by Anupam Maurya photography. 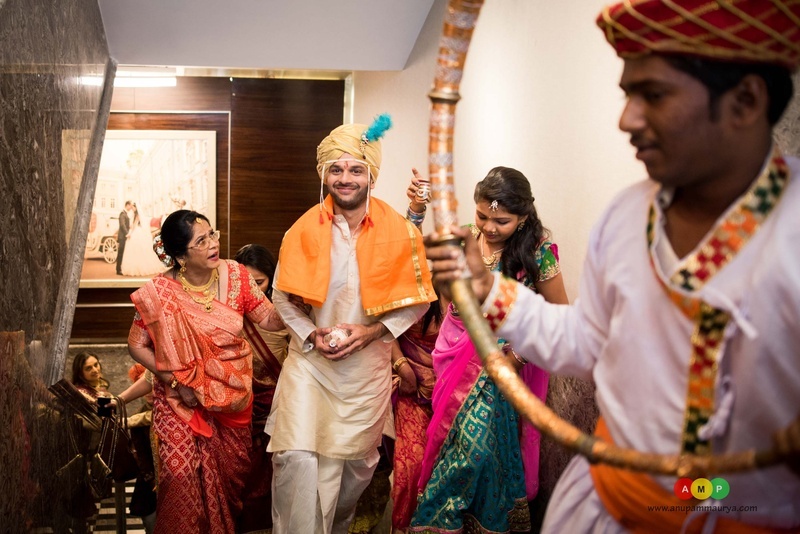 Ravish entering the wedding ceremony. 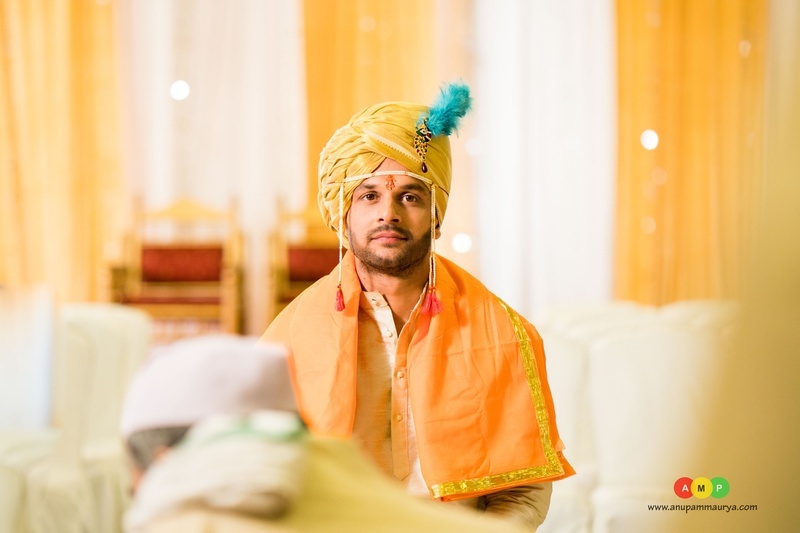 Wearing beige color sherwani styled with gold color safa and orange dupatta for the wedding day. 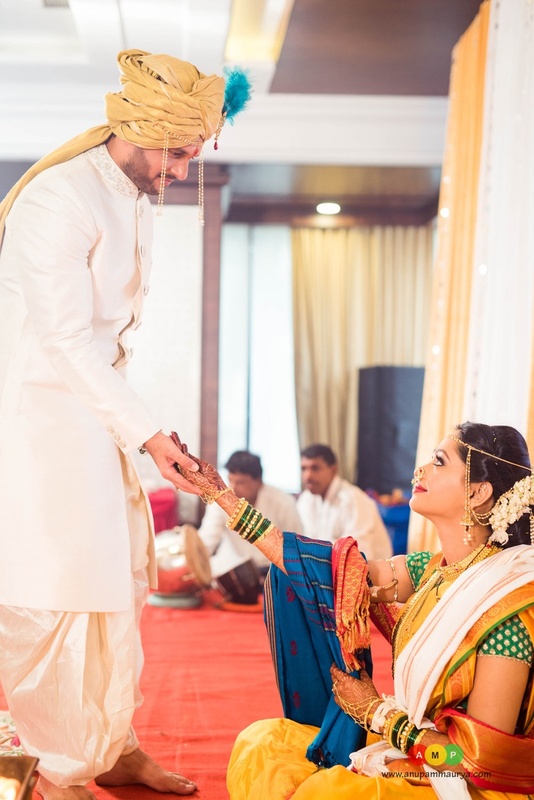 Look at each other in the middle of the ceremony. 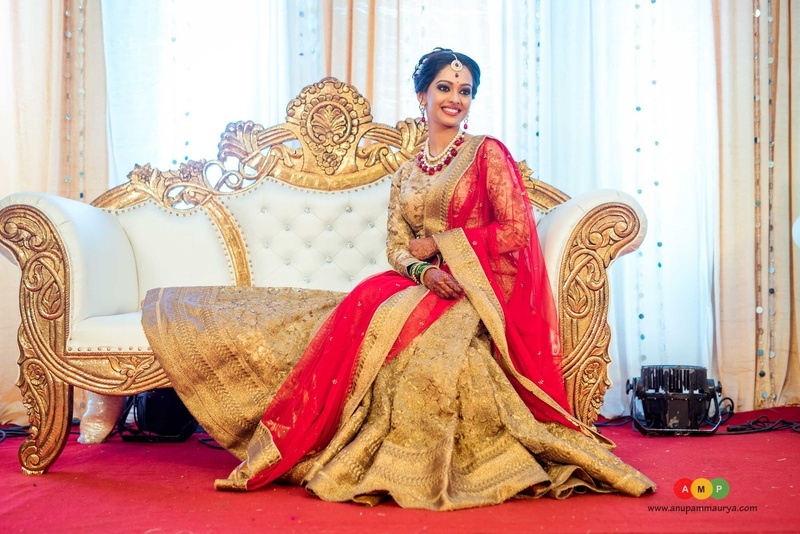 Dressed in yellow navvari paired with green brocade blouse and styled with gold bridal jewellery. 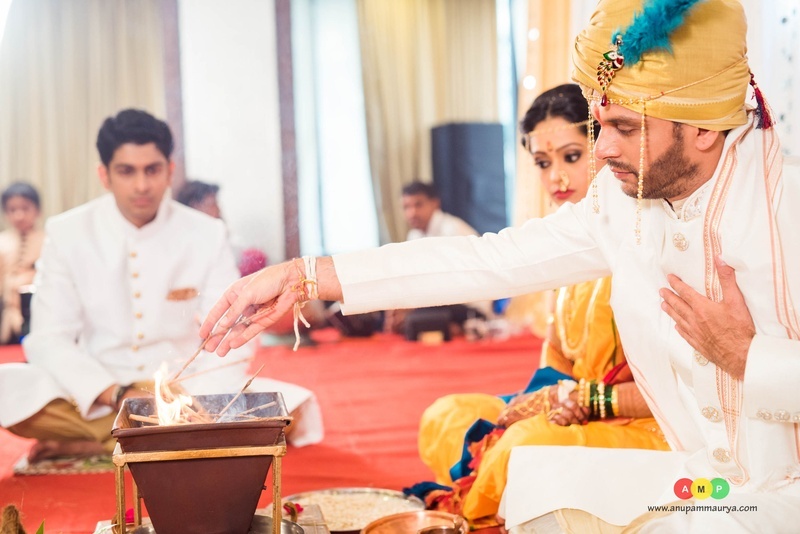 All set for the varmala ceremony. 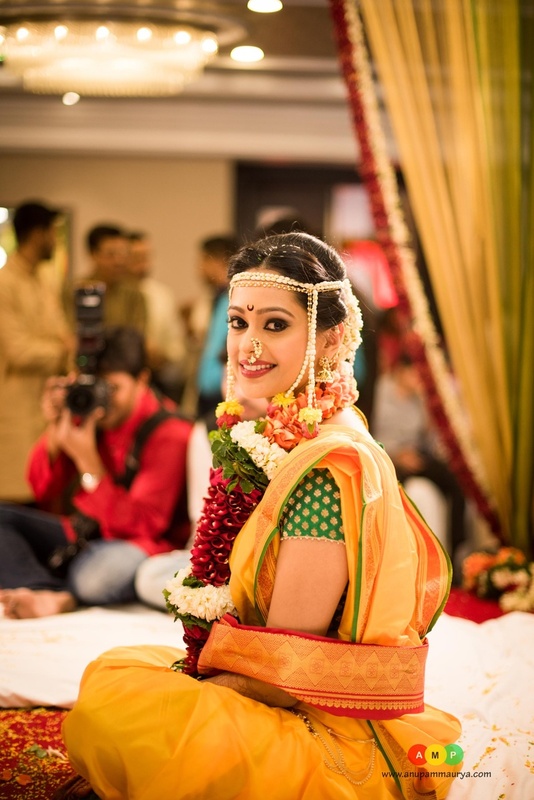 Prettily dressed up in yellow navvari for the wedding day. 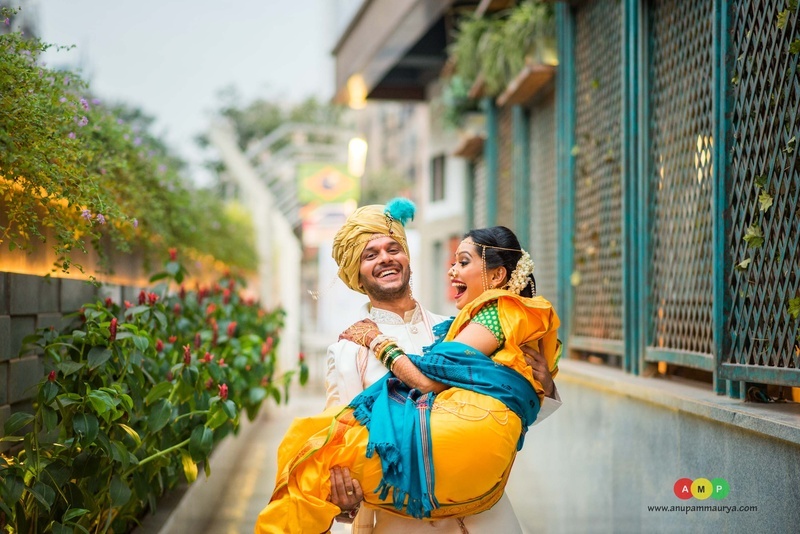 Ravish picked up Mugdha for a fun cute couple picture. 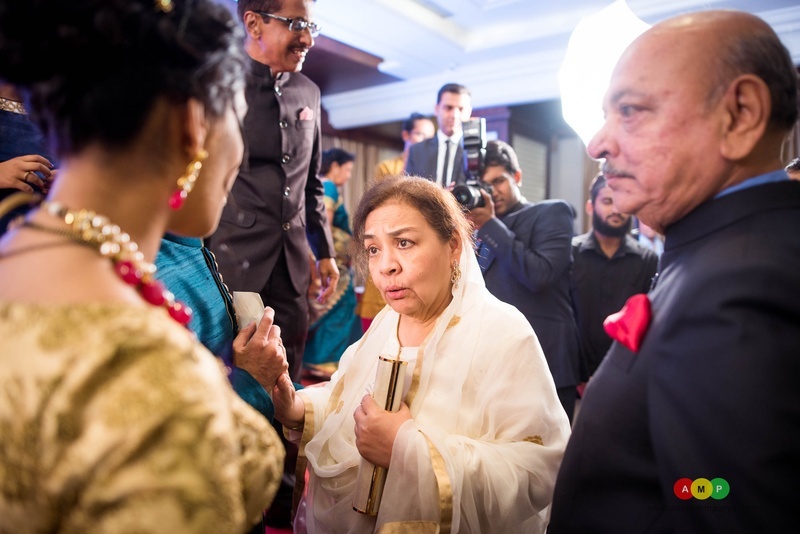 Getting ready for the reception held at Flags. 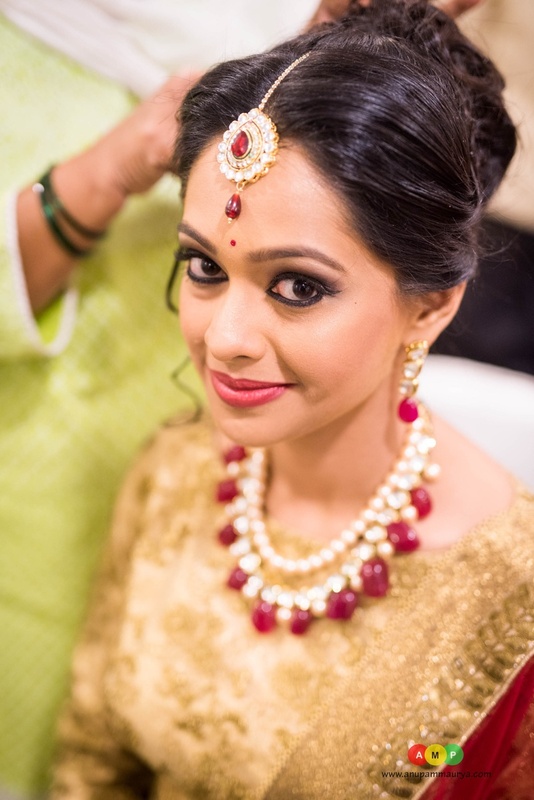 Wearing gold and kundan witth maroon pearl matha tikka .